October 22, 2004 – The Dave Matthews Band, under attack after a driver for the band’s touring bus is accused of emptying 300 pounds of liquid waste into the river through the grates of the Kinzie Street bridge on August 8, presents checks for $50,000 to the Friends of the Chicago River and the Chicago Park District. A written statement from the band explains, “We have decided to take action now even though it may turn out the incident was not caused by one of our buses. 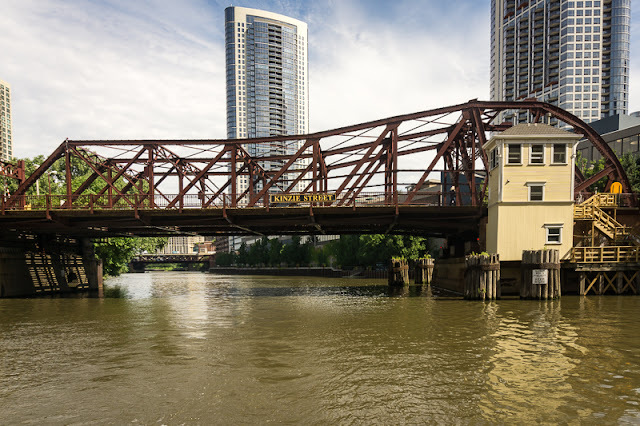 We simply want to begin the healing process.” [Chicago Tribune, October 23, 2004] In the incident of August 8 passengers of a passing river tour boat are deluged with the contents of the buses waste disposal tank, and five people are taken to Northwestern Memorial Hospital for testing. A witness is able to write down the coach’s license plate number, and the vehicle is identified as one chartered by the band, which is passing through the city on the way to a performance in Wisconsin. 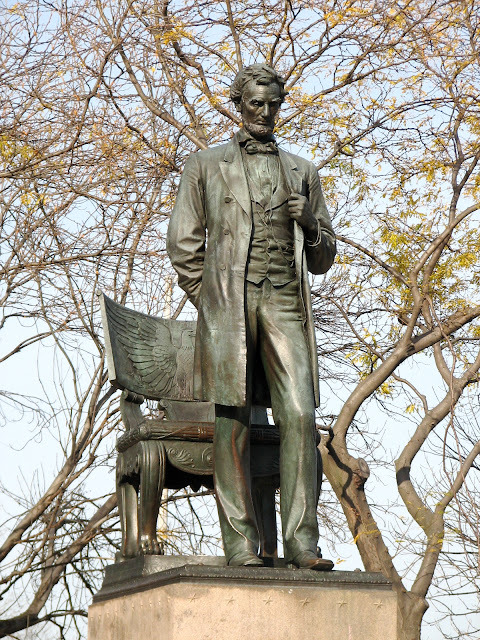 October 22, 1887 – Standing Lincoln, Augustus Saint-Gaudens’ sculpture of the Great Emancipator, is dedicated at the entrance to Lincoln Park. On the day after the dedication The Chicago Daily Tribune describes the scene, “Since the night of the great fire Lincoln Park has never contained within the same area so many human beings as thronged its plains, clustered under its trees, and in every variety of vehicle crowded its roadways yesterday afternoon.” [Chicago Daily Tribune, October 23, 1887] The statue, one of two sculptures in the city (The other is Storks at Play in front of the Lincoln Park Conservatory) provided for in the will of lumberman Eli Bates, is dedicated on a gray afternoon. Chicago Mayor E. A. Roche heads the dignitaries, and Abraham Lincoln II, the 15-year-old grandson of the late president, releases the flag covering the statue as upwards of 10,000 people watch. The statue is a good place to seek out in the next few weeks as the trees to the north show their autumn colors. Stand before the likeness of a politician who rose above the fray, made the hard choices, and ultimately paid for it with his life. It gives one something to think about as we head toward November.